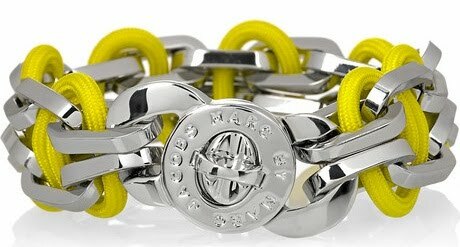 Something tells me the fluoro trend is going to be big news next spring/summer, so I'm really hoping Santa stuffs the above Marc by Marc Jacobs chunky chain link bracelet with interwoven neon yellow cord into my stocking this Christmas. Come the new season I predict fluoro accessories will be must-haves pieces, after all, they will perfectly update our wardrobe's for the new season, adding a vibrant pop of colour to winter's neutral colour palette. Pick up this natty number at Net-a-porter.com now, and reap the benefits next year. Click to buy.